This mod allows you to break only one half of a double slab. The half that is broken depends on which half you're looking at. Supports Vanilla slabs as well as a few modded slabs (I can add support for ones that are missing). If you enjoy my mods, please help me out on Patreon. 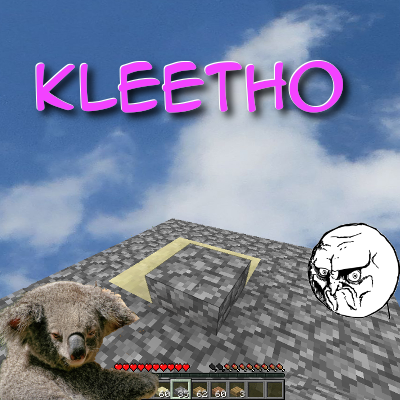 This mod was made by suggestion of Kleetho during one of her Subathons. Could you make the breaking animation only appear on the slab instead of both at once? Just a small cosmetic thing, but it’d be nice to implement when you have the time. I havent tried this on Better slab yet but hopefully this will work too..
Any chance we might see support for slabs from the Concrete Extends mod? The latest version adds support for Concrete Extends. I absolutely love this mod! Are you planning on making it 1.13 compatible? If so are there a lot of changes? Could you add support for Immersive Engineering slabs? Thanks! Immersive Engineering slabs are tile entities (unlike usual slabs), which would require too much specialized code to support to justify adding. Could you add support for The Betweenlands mod? The latest version now supports The Betweenlands. Thank you. Thank you. Thank you. I've used this in Sky Factory 3 and this is a highly useful mod. THANK YOU! This mod seems very cool !! But what about the compatibility with updated mods (in 1.12) for now, like Quark, Botania, Applied, BOP, Forestry ? Is this mod client side or server side? It's server side. Unsure if possible to make it work client side only. Could you add support for UndergroundBiomesConstructs and Slabcraft ? I happened to scroll through the list of miscellaneous mods and spotted this, added it without even thinking about it. This should never have NOT been a core vanilla feature, so thanks for making it possible! Little things like this make for a HUGE quality of life increase in gameplay! This is very nice. I've been enjoying your mods in Sky Factory. Thank you Blay!